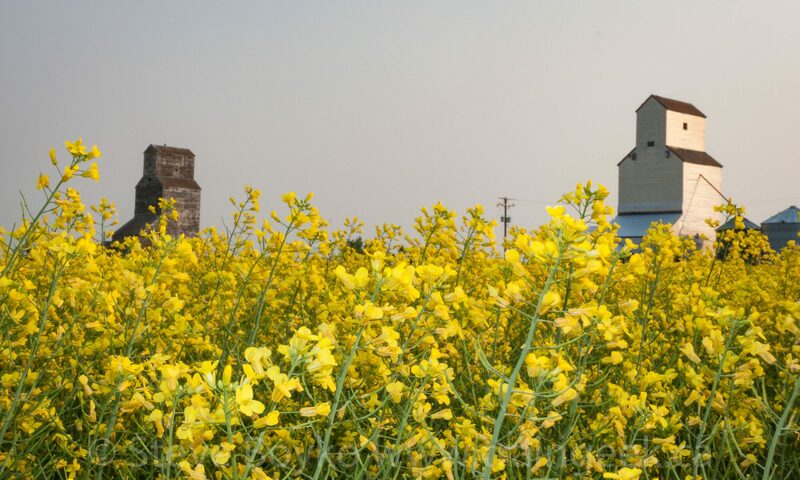 The two grain elevators in McConnell, MB, April 2016. Contributed by Steve Boyko. The two McConnell grain elevators are two of the few buildings remaining in the ghost town of McConnell, Manitoba. McConnell was on the CN Rapid City subdivision. This line was abandoned in 1978 and the last train passed through McConnell on December 16, 1978 with GMD1 CN 1027 as the lead locomotive. 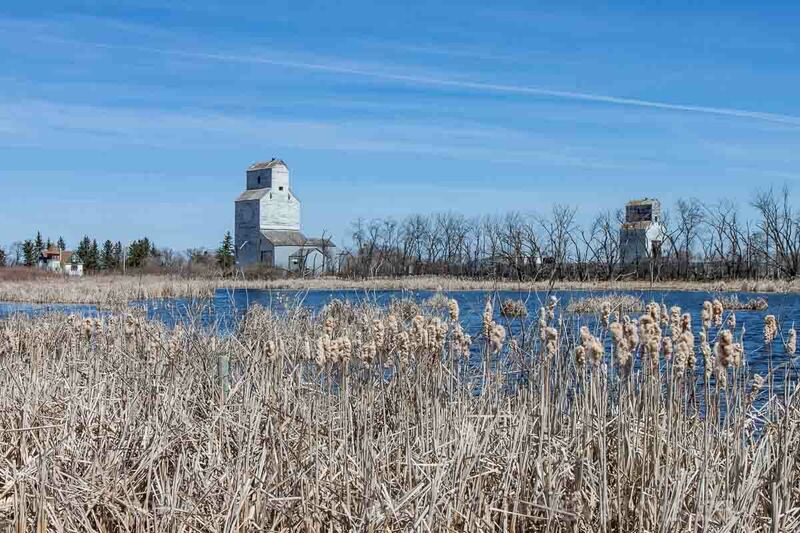 These elevators are former Manitoba Pool grain elevators. There is an “A” and “B” elevator. 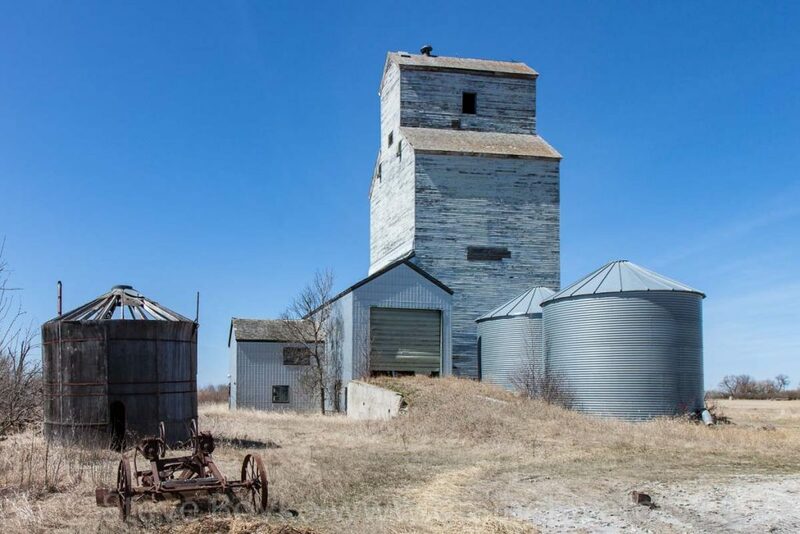 McConnell, MB “A” grain elevator, April 2016. Contributed by Steve Boyko. The “A” elevator was built on or before 1928 and served the community for fifty years until it was closed on December 1, 1978. This elevator was renovated in 1968 at a cost of $45,000. The elevator received a new driveway and office, and the elevator received a 40-ton platform scale and a high capacity grain cleaner. This elevator appears to be in fair condition. McConnell “B” grain elevator, April 2016. Contributed by Steve Boyko. 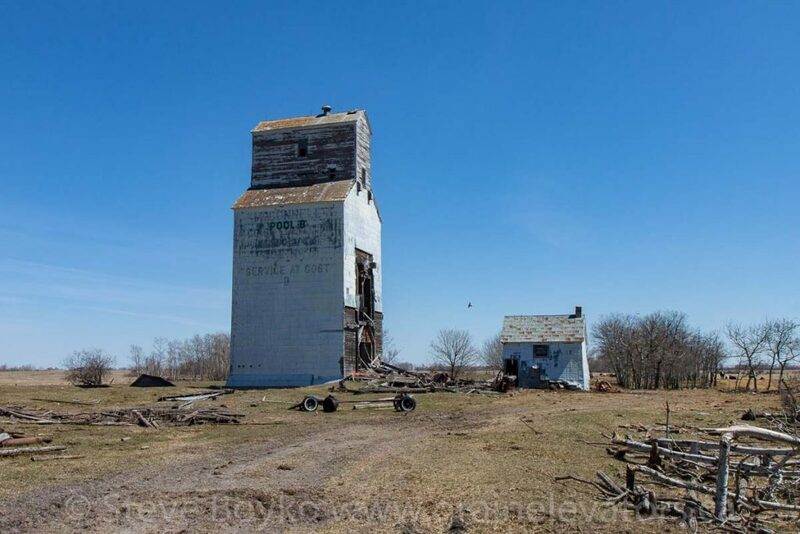 The Manitoba Pool “B” grain elevator in McConnell appears to be in rough shape. The elevator no longer has a driveway and portions of the machinery appear to be exposed to the elements. The elevator is in a farmer’s pasture now. 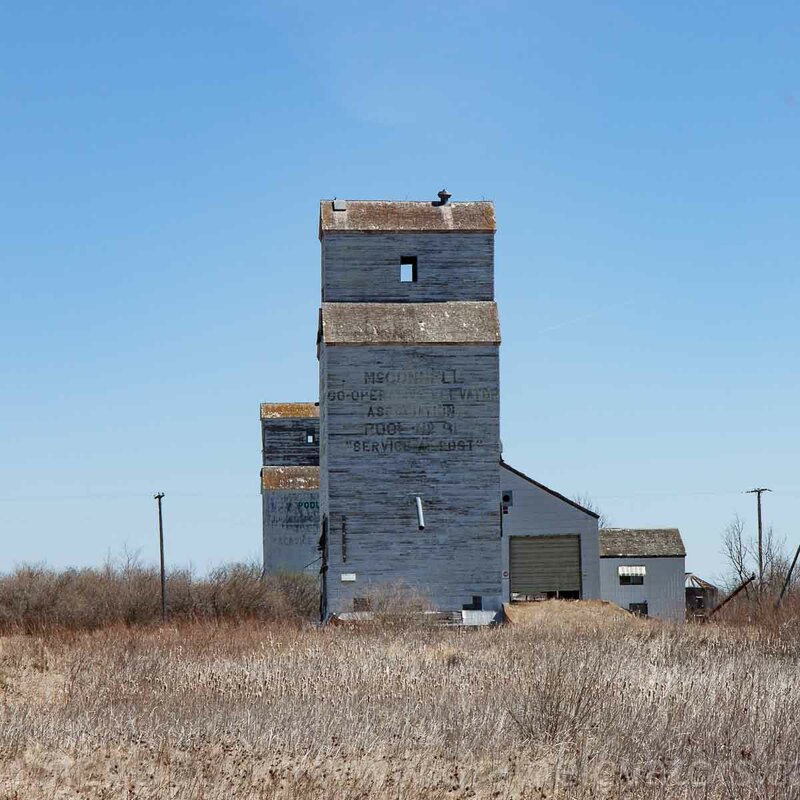 It’s possible that the “B” elevator is a former Bawlf elevator. The town of McConnell was founded in 1911. A commemorative plaque, erected in July 1983, lists the dates of the town as 1911-1979. 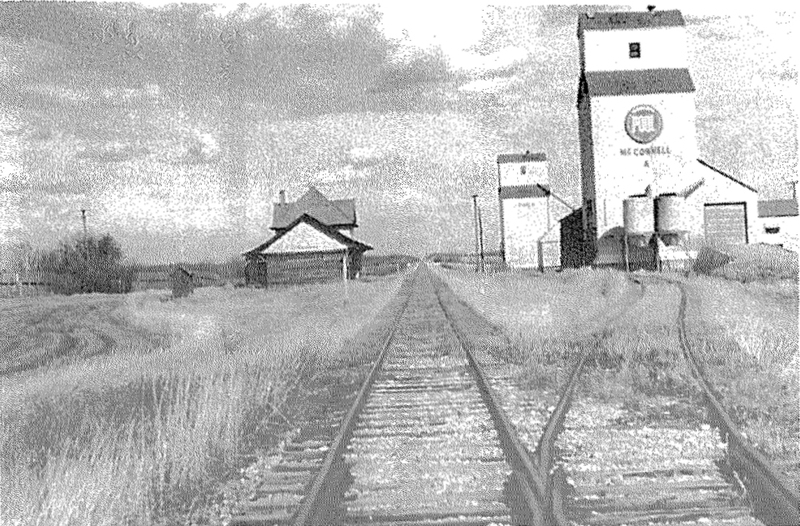 McConnell grain elevators, date and photographer unknown. 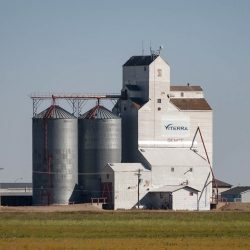 The first two grain elevators in McConnell were privately built and sold to elevator companies. The first was built by J.H. McConnell and sold to the Canadian Elevator Company. The second was built by A.E. Arnold and sold to the Bawlf Company. McConnell grain elevators, April 2016. Contributed by Steve Boyko.